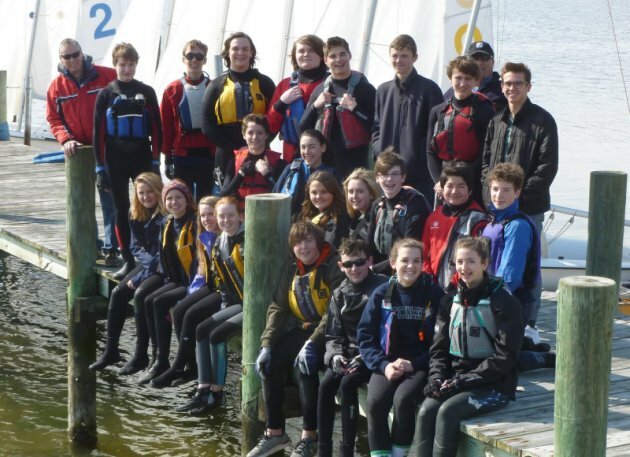 Why should you join the Kent Island Sailing Team? • Because SAILING IS FUN! • Be one of the true “Buccaneers” in the school! • Earn a Varsity Letter for sailing! • You don’t even need to know how to sail! • KIYC will be used for training after school and for regattas during the season. • Many of the regattas will occur on the weekends. The regatta schedule will be determined at the beginning of the season. • Most HS teams use the Club 420 or similar sailboat. 14 feet, main and jib with optional spinnaker. This is the preferred boat for junior sailing, Easy to handle and alot of fun. • The KIHS team has 12 Club 420 boats available for training. • All the boats are currently owned by members of the sailing team or donated to the team.